Chris Sims is the Harold H. Helm '20 Professor of Economics and Banking at Princeton University and president-elect of American Economic Association. Recent Nobel laureate Chris Sims will deliver a free public lecture on modeling monetary policy at 4:30 p.m. Tuesday, April 3 at Emory University. Presented by The Halle Institute for Global Learning, Emory College's Department of Economics, and the Federal Reserve Bank of Atlanta, the event will be held in the Boynton Auditorium of the Goizueta Business School, 1300 Clifton Road. Sims will discuss the evolution of our understanding of how monetary policy is determined and what its effects are, with attention toward the progress made in two interrelated strands of intellectual effort: the methodology of modeling and inference for economic time series, and the theory of policy influences on business cycle fluctuations. "Dr. Sims' pioneering research in economics is of global importance," says Holli Semetko, Emory's vice provost for international affairs and director of The Halle Institute. "We are delighted that our students and faculty will have this unique opportunity to discuss his research with him." Sims is the Harold H. Helm '20 Professor of Economics and Banking at Princeton University and president-elect of American Economic Association. 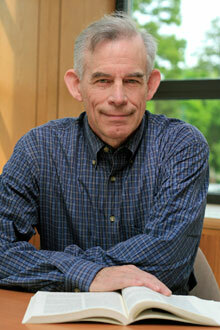 He was awarded the Nobel Memorial Prize in Economic Sciences (along with Thomas J. Sargent) in 2011. Admission is free, but guests should register to attend. The event is cosponsored by the Milton and Virginia Kafoglis Lectureship Fund and the Institute for Quantitative Theory and Methods.